Best known for our rich history and picturesque setting on Long Island Sound, Fairfield, CT boasts that and much more. We are a vibrant community with an appealing quality of life and a refreshing business climate - and we're on the rise. Fairfield is one of the few towns where the town center, train station and beach are all within walking distance and major cities are conveniently within reach. We may not be a metropolis but we are no small town. Our population of 60,000 quickly expands to more than a half-million within a 25-mile radius. We’re a community of well-educated and business-minded professionals who think big, have high standards and know great value when we see it. Though we are historic, we also nurture progress. Being a college town not only helps us maintain our youthful attitude but our engaged student population also further enriches our highly qualified workforce. We are a leader in sustainability and we work hard to protect and preserve our environment for generations to come. We are all business but place equal value on balancing work and play. We’ve got everything from great shopping to inspired arts and entertainment to outdoor fun, farmer’s markets and healthy eats. Our vast array of restaurants is growing daily and we have some of the best pizza in the region. Yes, even compared to NYC. With all we have going for us, perhaps the better question is Why Not Fairfield? We’ve got it all right here and we’re ready for your future. Fairfield’s highly qualified workforce rivals that of New York City and the number of professionals with higher education degrees is comparable to what you’d typically find in esteemed college towns. With a diverse talent pool ranging from student interns, college grads embarking on a careers and professionals in their prime, you'll find the people you'll need to power your business. Fairfield is home to Fairfield University and Sacred Heart University. Both universities offer excellent STEM and business programs, are great sources of talent and have flourishing student internship programs. Comprised of five colleges and two schools, Sacred Heart University was included in The Princeton Review’s 2018 list of Best Colleges and Business Schools and in the top 20 for Most Engaged in Community Service. U.S.News & World Report recognized SHU as the fourth most innovative and one of the best universities in the North; and the Chronicle of Higher Education called SHU a top 10 fastest-growing Catholic College in America. SHU joins Yale, Trinity and Wesleyan as the only private colleges in Connecticut with an ‘A’ rating or higher from Standard & Poor’s. Sacred Heart University’s enrolls over 8500 undergraduate and graduate students with a full-time faculty of 300. The Jack Welch College of Business enrolls more than 2,000 students with majors in computer science, information technology, game design and development and computer engineering. Sacred Heart recently purchased GE’s 66-acre former global headquarters in Fairfield to expand its School of Computing and STEM programs. Sacred Heart University’s Center for Not-for-Profit Organizations gives free business and management consultations to not-for-profit organizations. In partnership with the Fairfield County Community Foundation, the Center also offers essential skill courses to employees of non-profits in Fairfield County. SHU is also home to WSHU Public Radio, an award-winning NPR station with locally produced content. Placing a high value on experiential learning, SHU is fully engaged in internship programs that offer immense benefits to both the student population and local business community. Fairfield University’s campus sits on 200 idyllic acres overlooking Long Island Sound, just a mile from the center of town. Considered a vital part of the Town of Fairfield, Fairfield University offers local residents a wide variety of vibrant community offerings, both on and off campus. Residents count on Fairfield University throughout the year for its rich calendar of cultural events, thrilling athletic seasons, and family activities of all kinds. As a nationally ranked modern Jesuit Catholic University, Fairfield is rooted in one of the world’s oldest intellectual and spiritual traditions, embracing a liberal humanistic approach to education, encouraging critical thinking, cultivating free and open inquiry, and fostering ethical and religious values. Fairfield University’s five schools: the Dolan School of Business, the Marion Peckham Egan School of Nursing and Health Studies, the School of Engineering, the College of Arts and Sciences and the Graduate School of Education & Counseling are all host to nationally recognized programs, on both the graduate and undergraduate levels. Undergraduates can pick from 46 undergraduate majors and graduate students can earn over 41 graduate degrees and certificates, with part-time study opportunities available. Commercial zones are located in downtown Fairfield and Southport, near the Fairfield Metro Train Station, along Black Rock Turnpike and up to Sacred Heart University. 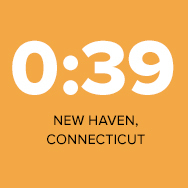 Fairfield University is only one mile from the town center and SHU is seven miles to the north. The newly-opened Fairfield Metro train station sparked the construction of office space, a condo complex and a shopping center anchored by Whole Foods. Additional commercial land and office space are available within walking distance to the Fairfield Metro station. To find locations to meet your needs, use our Real Estate Finder tool. Our Economic Development team can answer your questions and schedule a tour. 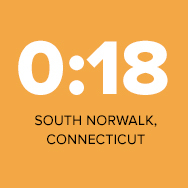 Located between New Haven, CT and New York City on the north shore of Long Island Sound, Fairfield offers convenient access to both Interstate Highway I-95 and the Merritt Parkway. 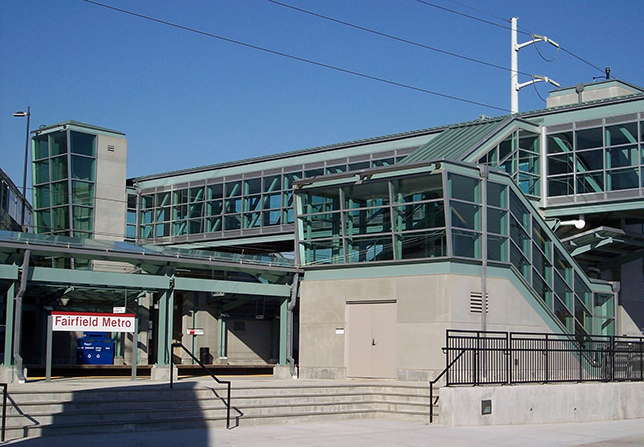 There are three train stations on the Metro-North line within the town providing regular service to New Haven and Grand Central Station. 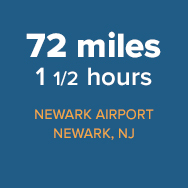 For more distant travel, Fairfield is also served by five airports. Train Times vary by day of week and time of day. Check Metro-North and Amtrak for schedules.